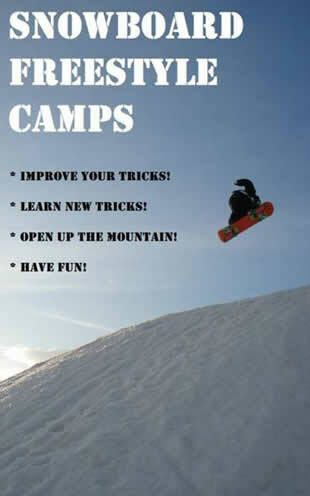 The aim of our new freestyle camp is to provide like-minded people with the opportunity to venture into the world of freestyle snowboarding. Our freestyle camps will take place in and around Zakopane’s best snowboarding facilities with each day providing you with a new challenge, be it a new jump to hit, a new rail to slide or learning how to capture the perfect picture. We will aim to provide you with the best week of snowboarding you will ever have and a new outlook on sliding down a hill. Our professional coaches with years of worldwide experience will provide you with both high quality coaching and heaps of fun ideas that will keep you entertained on your snowboard for years to come. Our coaches will not only be with you up on the hill, they will be around at meal times, party time and during the activity day for you to really tap into there heads and squeeze every last bit of knowledge you can out of them during the week! Although our freestyle camps are offered for beginners, we do require that everybody has at least 2 weeks snowboarding experience (including indoor snowboarding) or is comfortable turning both ways and stopping on a Blue run. This is due to the fact that a certain level of skill and control is required to hit even the smallest of jumps in a safe way. If you are unsure of your level feel free to contact a member of our team for advice. ARRIVAL DAY – Our usual arrivals day is a Saturday with the week running until the following Saturday (Departure Day). Upon arrival at the airport a member of the Sunshine World Staff will greet you. They will probably bring you beer or suitable refreshments and some good music for the transfer to Zakopane. Depending on your arrival time back in Zakopane we will point you in the direction of a suitable place to spend the night partying or relaxing. DAY 1 – You will be collected in the morning, usually around 10 ‘clock and taken into town to pick up some rental equipment should it be required. If you have your own, a little patience and a chance to keep warm on the bus. We will then transfer you to our chosen area for the day, this will be decided by a member of our coaching staff taking into consideration the conditions and where they feel is best to start the week, we have some good options! When you arrive at the ski area you will then begin your morning lesson in the snow park, which will roughly be an hour and a half long. This will be suited to your ability level and will be based around what you want to learn! If you want to jump, we will jump, if you want to slide on boxes, we will slide on boxes!! After your first morning lesson you will take lunch, or carry on snowboarding if you don’t want to stop. The afternoon will be split up into free time and an afternoon lesson, roughly an hour and a half long, again suited to you ability. Cameras are a must when snowboarding so be sure to bring along your camera and you will not only be given ideas of how to shoot great action shots but we will help you to take them and try to capture your best and worst moments! When the day is up we will transfer you back to your accommodation discussing the days events and any possible evening entertainment! DAY 2 – Again you will be collected in the morning and transferred to a chosen area, probably a little bruised from the day before but still raring to go! The day will follow the same pattern as day 1 with a morning lesson, lunch and then the afternoon lesson. If people are still keen, more evening entertainment options will be discussed! DAY 3 – If conditions allow, Day 3 will have a completely different feel. 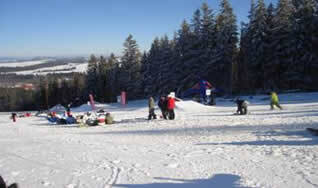 If the conditions are right we will take you for a day of Big Mountain snowboarding up on Kasprowy Wierch. Depending on your ability we will show you how to safely have fun using the freestyle aspects of snowboarding up on the mountain, we will teach you to ride off-piste in deep snow, drop your first cliff and generally have a fun day being shown how to snowboard on a mountain in a way that is known only to those with a lot of experience, our coaches! If the weather conditions are not right for a day on Kasprowy we will be sure to take you back into the park and teach you more new tricks, you wont have a wasted day! DAY 4 – We figure that if you are a fan of jumping, sliding on things and general winter fun then we should have a day taking advantage of our amazing surroundings! We will collect you in the morning, give you a quick tour around the town, take lunch together and then head off on a 4-hour ski-doo trip! The ski-doo trails provide everything from fun winding paths up through the forests to big open fields with bumps and deep snow, all with amazing views of Zakopane and as far as Slovakia! After the ski-doo trip we will return you to your accommodation to freshen up and then straight back into town for a team night out! DAY 5 – Day 5 is a free day for both our coaches and you. However, we will offer you assistance and advice on anything you wish to do and provide plenty of possible options. If you want to go out snowboarding we will get you there, if you want to shop we will help you sort it out, if you want to relax we will show you how. DAY 6 - A vote will be taken on Day 4 as to which area the group wants to go back to on the final day. We will then transport you in the morning to the chosen area and begin a fun packed final day. We will run the morning lesson as usual with the possibility to fine tune your new skills or try and squeeze in one more new trick. The afternoon will take the form of a mini freestyle competition amongst the group, a chance to land all your new tricks in front of everyone!! No exceptions will be made for the final night out, a big group party in town, announcement of the competition winners and lots of fun! DAY 7 – Departure day, you will be informed the night before about your pick up times and will be transferred from your accommodation back to the airport in good time for your flight home!